A common staple in Mediterranean diets, olive oil is a flavorful ingredient used in a large number of food dishes. It is not only eaten—this versatile oil is commonly used in cosmetics, medicine, and even soaps. Olive oil is packed with beneficial nutrients. New research has found that a primary component in olive oil may protect against brain cancer. Brain tumors can vary greatly, with some being harmless and others fatal. They are the result of a mass or growth of abnormal cells in the brain that can spread to other parts of the body. Because your brain controls all bodily function, a brain tumor can lead to problems with speech, difficulties walking, and even lead to sudden death. Olive oil has been known for decades to hold many health benefits, from reducing coronary heart risk to the prevention of cancers. It has even been seen to treat disease through its modification of the immune and inflammatory response. Much of olive oils good favor has been because it contains oleic acid—a fatty acid that occurs naturally in various animals and vegetable oils. Olive oil contains a lot of it. Research into oleic acid has proven it helps prevent cancer-causing genes from functioning in cells. This discovery came from analyzing the effect of oleic acid on a cell molecule known as miR-7. This molecule is known to be active in the brain and it works to suppress tumor formation. All research was carried out on human cells in a laboratory setting. While the researchers are excited about these results, they stress that it is too soon to claim that consuming olive oil prevents brain cancer. 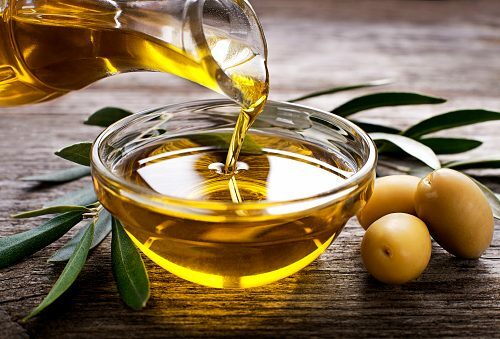 “While we cannot yet say that olive oil in the diet helps prevent brain cancer, our findings do suggest that oleic acid can support the production of tumor-suppressing molecules in cells grown in the lab. Further studies could help determine the role that olive oil might have in brain health,” says Dr. Gracjan Michlewski, a researcher on the study.